Pain can be a versatile experience and not all pains are created equal. Some pains can be from growth, others can originate from bruising or hurting yourself. Pains can also come from a muscle strain or a bone shifting awkwardly. A common pain that you may feel is in your arms, which many people dismiss as nothing important. This isn’t actually the case since your arms could be telling you something is wrong, without you even knowing so. Arm pain, like all other pains, originate from somewhere. This origin may be innocent or be slightly more severe than a strained muscle in your arm. It’s always better to know exactly what could be causing your arm to throb. 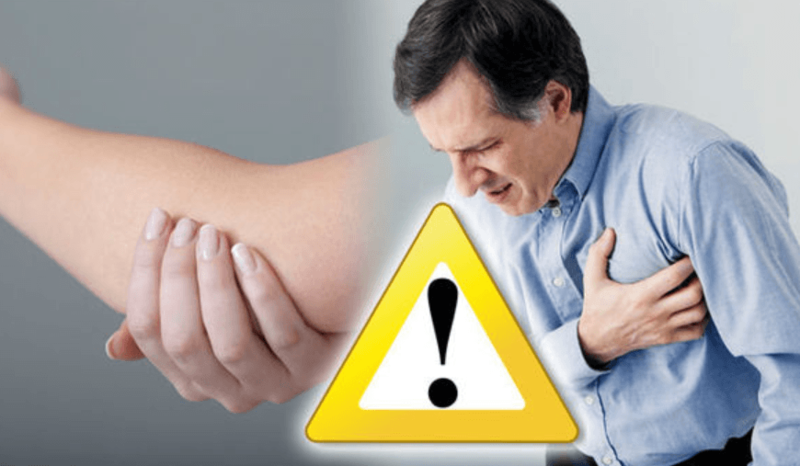 Heart Attack vs Arm Pain – Which Pain is Which? Pain in your left arm can come from heart issues, not always directly a heart attack but something going wrong. The reason this pain occurs is given the fact that your heart and arm nerves string to the same section of the brain. When you encounter pain in your heart, your brain can get confused over which nerve is sending the message and react with sending the alarm of pain to the arm instead. This occurrence is called referred pain. Quite like a heart attack, this pain can start in your left arm. Angina happens when your heart doesn’t receive enough oxygen. There are two types of angina; stable and unstable. Stable angina is easier to manage and can be anticipated. This happens after a physical act has been performed or if you’re experiencing emotional stress. Unstable angina is more unpredictable and critical. It can happen during sleep which isn’t safe if you’re unable to detect it. Unstable angina can even point to a developing heart attack. Fortunately, not all left arm pains point to the brink of a heart attack. Some pains happen for other reasons and don’t dwell over such drastic consequences. If your pain is in the line of the following conditions, then you can relax as your pain isn’t related to your heart. Pain in your arm could be any of the following and are more related to your bone and tissues in your arms. This directly affects the spinal cord, when a disc in the spine protrudes from its spot, rubbing against the nerves around it. If this nerve is connected to your arm, then you’re likely to feel pain in your arm that resembles weakness. This type of pain can be mistaken for a heart attack, but there are specific symptoms to watch out for mentioned later in the article. This type of pain arises when your muscles and tissues connecting your shoulder bone tear. This is a very painful experience that can come from overusing your shoulders. Bursitis happens when your bursa inflames. Your bursa is a liquid-filled sac that rests between your bones and tissues in the arm. This type of pain happens when your connective tissues inflame. These connective tissues are located between your bones and muscles. Any of the listed pains aren’t as severe as receiving a heart attack but are always better treated as soon as detected. Acquiring a pain in your right arm doesn’t signify anything specific. Usually, it’s when you’re having pains in the left arm that you should be focusing on specific symptoms. If the symptoms do follow after pressing aches in your right arm though, do not hesitate to consider this as a warning of a heart attack. Right arm pains causes are quite similar to pains you can have in your left arm. In fact, you can even have a pain happening in both arms at the same time. Below are some other pains you can endure in your arm, what the reason might be, and how severe they really are. Pain in a specific spot or one large area may be due to a fracture. This pain is what should tell you your bone may be or is broken. Fractures must be dealt with immediately otherwise you risk further damage to the wounded area. A strain comes from damage to your muscles while a sprain comes from ligament damage. This kind of pain typically wears itself out and relieves after a few days. If not, then the damage is more severe and should be looked into. This pain happens in your wrist. After constantly repeating the same movement with your wrist, the primary nerve in your hand can get hurt. This pain is a searing sensation that lingers on for a while, but not for too long. If your pain hangs on longer than a few minutes, it’s better to have it looked at to see if there is or isn’t any critical damage to your nerve. This also isn’t a major pain, but it’s better looked at if it lasts too long, such as more than one day. A pinched nerve develops when bones or tissues in your arm compress the nerves. This type of pain is numbing and tingling rather than a throbbing sensation. This is a condition you can either be born with or develop over time. What this condition is your immune system fighting itself. This can cause pains in more than just your arm, it can also happen in your neck, back, and legs. When happening in your arms, it can occur in your wrist, elbows, hands, upper and lower arm. Any of these pains in your arms, be it right or left, can be diagnosed either professionally or personally. Most of them pass over time. If not, then they’re signs of a developing issue that should be addressed before it gets worse. Heart attacks don’t directly affect your arm. Instead, the nerve that connects the arm to the brain, as well as the heart to the brain, reach the same area. That means the arm and heart nerves are relatively close. While experiencing a heart attack, your heart will send a message that it’s in pain and something is wrong. In this case, your heart isn’t receiving enough blood flow. This happens due to a build-up in fat, cholesterol or something else. This clogs up your arteries which prevents the natural flow of your blood, resulting in pain. Quite like breathing through a straw, your heart isn’t getting enough of what it needs. Instead, it’s strained and raspy which leaves a sour taste in your muscles. When your heart sends out this signal of distress, your brain can make the mistake of sending the pain hormones to your arm, and not your chest. This pain comes quickly and suddenly, resembling a stabbing sensation which can pull you off abruptly. This pain in your arm will feel as though something exploded, which is what your heart is actually feeling. This pain happens mostly in the left arm, though the rarity of it happening in your right arm is plausible. Never consider a brusque pain in your arm an immediate sign of a heart attack though. Yes, the possibility is there when it does happen, but always wait for one following symptom to occur. This symptom will come closely after the pain in your arm since heart attacks are relatively fast-paced. If your pain is not immediate and slow, timid and tingling more than throbbing, rest assured it’s not a sign of a heart attack. When it comes to pain other than one indicating a heart attack, it can be primarily dealt with at home. There is no need to rush to the hospital when your arms feel unsteady. Most of the time, it’s no major pain that’ll ruin your life, probably a passing ache that’ll cure itself. When you do encounter such pain at home, take some small steps to see if the pain subsides. Firstly, stop doing the activity you were doing. Sometimes these pains occur because of repetitive movement and pass once you stop. Taking frequent breaks during any activity can help reduce the chances of any pain from happening. You’re no robot and eventually, you wear out. If it doesn’t pass, place an ice pack over where it hurts to soothe the specific area. Also, try to keep the hurting area elevated and not in contact with anything, so you calm the swelling. Some pains react more positively to compression over the aching spot. If you have a compression bandage, then feel free to wrap this over your pained arm. If not, then massage the area for a few minutes until you feel the pain calming down. If your pain is closely related to your nerves, then continuous therapy to that selected area is best. Keep stretching and maintain your breaks during all of your activities. You can receive cramps even from writing too much. Stretching is a great way to loosen your tendons, ligaments, and muscles so that they’re adjustable to quick, swift movements that aren’t usual. The biggest creator of arm pains is uncommon movements. As soon as you develop an acquaintance with odd movements, out of the blue pains in your arm will become more common. Keep your arms active and give them breaks as well so they maintain their best shape. Of course, there’s no guarantee that these steps will help your arm pain. Even if it isn’t urgent, contacting a doctor to remain on the safe side is no foul move. Once you have a proper diagnosis from a professional, it’s easier to make a decisive choice on hat your next step is. Some pains go away with rest while others disappear faster when you move your limbs. Some pains are connected to other areas, which means trying to fix your arms isn’t going to help anyone. Pains, in general, must always be dealt with carefully. The right move can make it go away for a long time, maybe even eliminate it forevermore. The wrong action can deepen the wound and worsen the pain for you; there’s even a chance of you making it a critical pain rather than fixing it. Whenever you find that your pains don’t subside but increase over time to a more unbearable extent, calling a doctor harms no one. It’ll probably be a heavily misplaced tissue or bone pressing hard on a nerve. It can also be a severely ripped muscle that needs repair. The most serious case that can follow a throbbing left arm pain is a heart attack. It’s never a good idea to call out only when you’ve had arm pain. If you do have a sudden ache in your left arm, keep an eye for the following symptoms to see if you’re having a heart attack. Any of these symptoms, following pain in your left arm is a sign pointing to a heart attack. Don’t wait for more than one symptom to occur after your arm pain; call a doctor immediately once you’ve realized you’ve encountered a symptom. If you do, then you’re tackling the situation at the right moment. 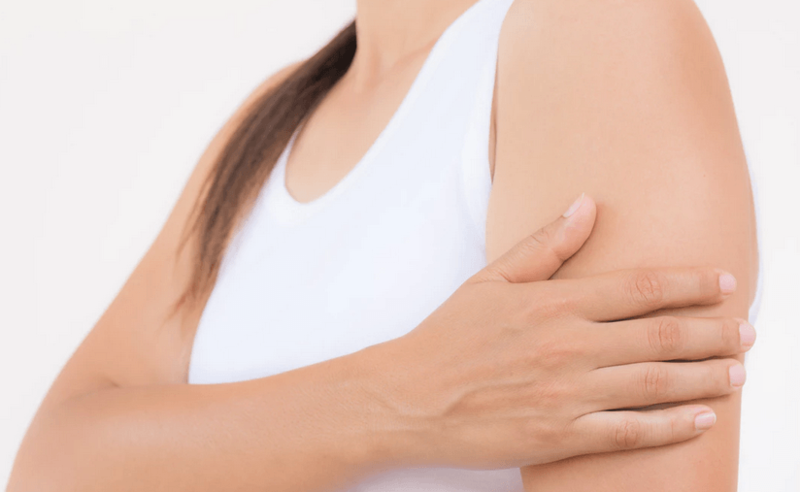 Arm pain can be a sign of something happening, or it can simply be a casual pain. So long as you’re aware of the consequences, you’ll be able to act accordingly. When it comes to keeping pains at bay, try keeping your arms in constant, consistent action. The more you naturally use them, rather than leaving them hanging idly by your sides, the greater they’ll be able to withstand flexibility and abnormal contractions. Just as well, overworking your arms can tear or pull something, which will always be more painful than a cramp and last much longer. It’s all about how you care for yourself, your heart, and your arms.